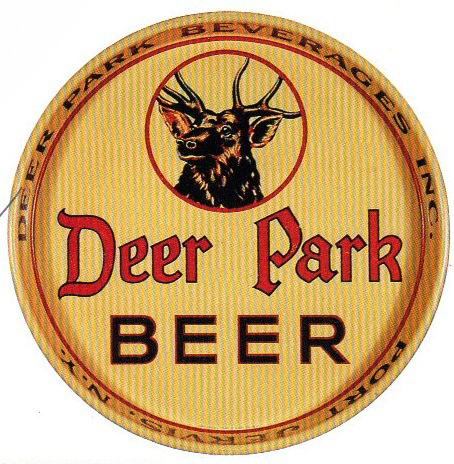 Serving Tray for Deer Park Beer from The Deer Park Beverages out of Port Jervis, New York showing at the top a deer as the company’s symbol. Around the rim it reads “Deer Park Beverages Inc Port Jervis, N.Y. This 12” round tray was produced by the Universal Tray and Sign Co. around the late 1930s.